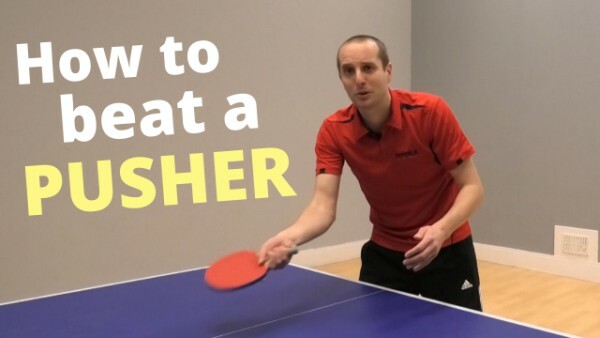 In this video I show you how to beat a ‘pusher’. This is the sort of player who will push, push, push, push until you make a mistake. Pushers can be frustrating to play against. But by using the right attacking tactics you can start winning quite easily. In the video I explain how you can beat pushers by using loops, flicks and topspin serves. The pusher wants to make it a backspin game. Your job is to turn it into a topspin game. If you do this, it becomes much easier to beat a pusher.